Our firm provides Expert Witness and Litigation Support on workers compensation audit, classification code, retrospective rating and experience modification rate (EMR) issues. On this page we provide details about our areas of expertise, experience, access to our individual CV’s and information on the expert witness and expert consulting services we provide. Please be sure to contact our office to determine if we may be of assistance to you with your specific case. Our specialized knowledge and active work experience allows us to deliver credible case analysis and expert opinion throughout the litigation process. Our broad knowledge base allows our consultants and expert witnesses to consult with plantiff and defense attorneys and legal firms representing clients who find themselves caught up in these serious legal matters. Through our collective experience you’ll find our consultants experts in most premium producing aspects of Workers Compensation insurance policies along with general insurance, agent E & O and agency/company operation issues. You will find our experience provides legal counsel with the assistance needed to reduce complicated technical issues into easy to understand concepts. Most court cases involving insurance related premium disputes will benefit from the knowledge and testimony of our experienced expert witness consultants. Follow the above links to view our primary consultants current CV’s. Expert witness and litigation consulting is a major focus of our firm. Our Consultants provide expert witness and litigation support over a broad area of expertise regarding all phases of workers compensation insurance premiums, audits, workers compensation classifications, code disputes, experience modification factors, payroll audits and appeals. Our service is designed to avoid or reduce the impact of litigation. We work with plantiff attorneys, defense attorneys and law firms to help prepare the best case possible while working within the complicated workers compensation and insurance litigation arena for their clients. Expert witness service includes testimony and depositions on workers compensation and other insurance industry related issues presented in a simple, easy to understand, jury friendly manner. As you see, from our areas of expertise, we not only provide expert witness and litigation support for workers compensation issues but also assist in many other areas of commercial insurance and insurance agency related operations. Workers Compensation Consultants staff collabrate to advise defense attorneys, plantiff attorneys and their clients on the techical aspects of workers compensation premium generating issues along with other insurance policy and insurance agency management and operations related areas. 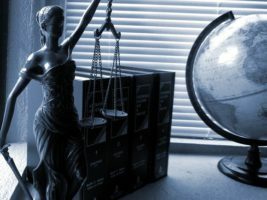 The type of support we provide depends on the specific needs of legal counsel and may range from research and documentation verification to reviews and opinions of opposing expert witness prepared documents and include assistantance in determining damages from actions found within our areas of expertise. You’ll find our independent litigation support a valuable asset in rounding out cases involving a workers compensation audit, workers compensation classification code issue, any other insurance premium producing issues or insurance agency E & O, agency operations, standards and practices. There is no charge for our initial phone interview and case qualification. Once a determination has been made that there would be no conflict of interest and that your case falls within our areas of expertise our standard hourly rate fee schedule will apply, a reasonable retainer will be collected and a service fee agreement will need to be signed. Please contact our office to receive a copy of our Expert Witness and Litigation Support rate fee schedule and terms.